Join us in following the footsteps of Mallory and Irvine towards the highest place on earth. 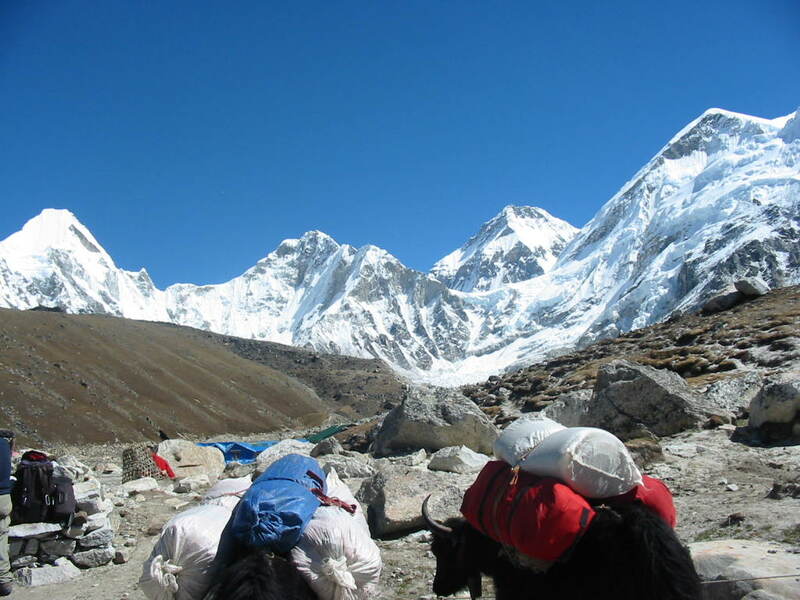 Enter the spiritual heartland of Nepal on our Everest Basecamp Trek 2019/2020. Stay in tea houses high in the mountains enjoying local foods, culture & customs. Immerse yourself in panoramic views of the highest mountains on the planet. Nepal boasts some of the most breathtaking scenery on the planet with the Himalayan mountains forming a natural barrier between the Indian subcontinent and the high plains of Tibet and the rest of Asia. 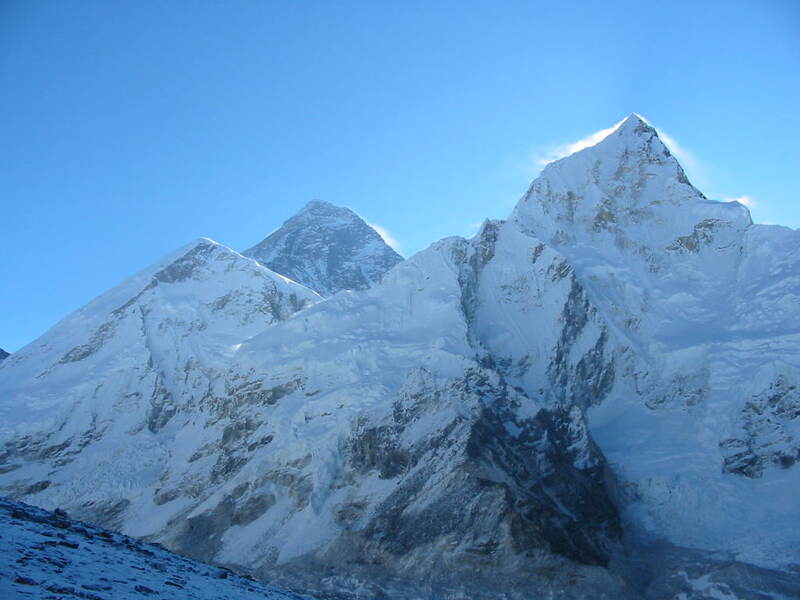 Mt Everest stands at 8848m and is the highest mountain in the world, one of only 14 mountains above 8000m all of which are located within the Himalayan ranges. 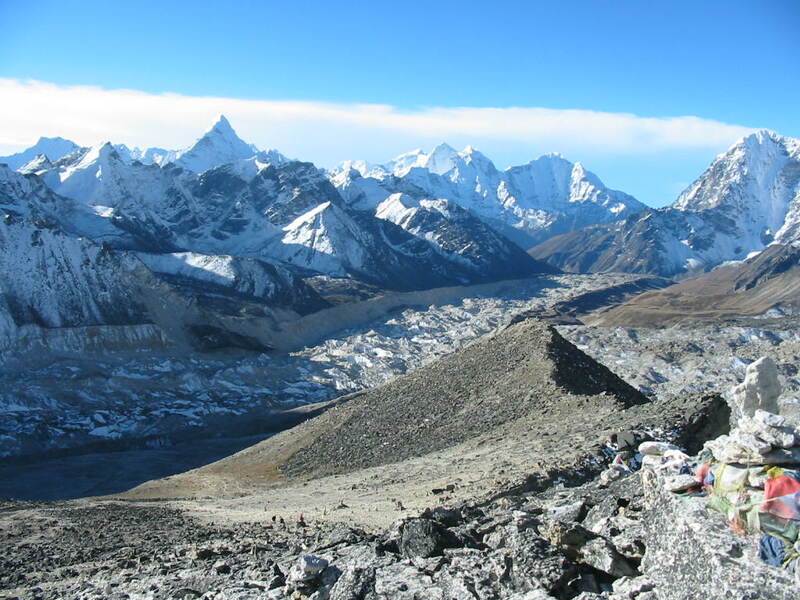 Join us on our 19 day trip, including 11 days trekking to reach Everest Base Camp at 5364m. Please do not book your flights until the trip is guaranteed to run. Day 1 Kathmandu – Arrive in Kathmandu and while you settle in to the Hotel Shanker you will have the opportunity to meet the rest of the group and your leaders. 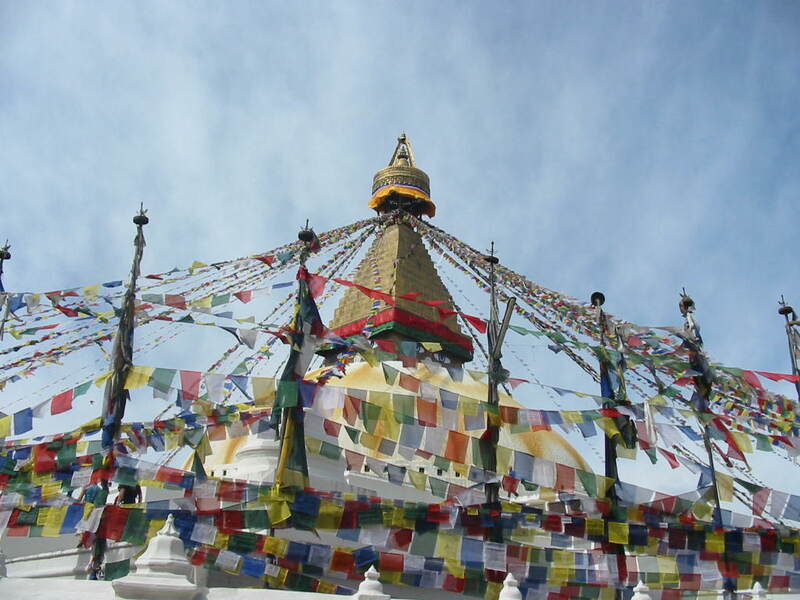 Day 2 Kathmandu – You will have the day to explore this ancient city while taking in the sights and sounds. So you may like to walk around Thamel or perhaps visit the famous monkey temple. 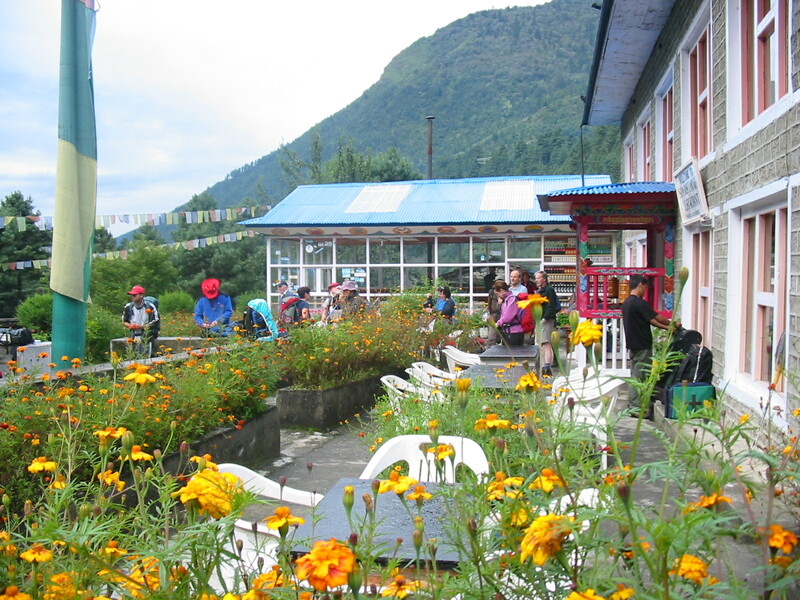 Day 3 Kathmandu – Lukla: We will transfer from the hotel back to the airport to catch a flight into the famous Lukla airport high in the Himalayan mountains. Day 4 Lukla – Namche: We begin our trek by walking up the valley towards Namche while taking in the views as we move away from Lukla. Day 5 Namche: You have the day to take in the sights at Namche as you begin your acclimatisation. Therefore it’s a day to enjoy drinking tea in the local teahouses or have a rummage in the markets. Day 6 Namche – Pangboche: We will continue on our way up the valley towards Pangboche while enjoying views of the surrounding mountains. 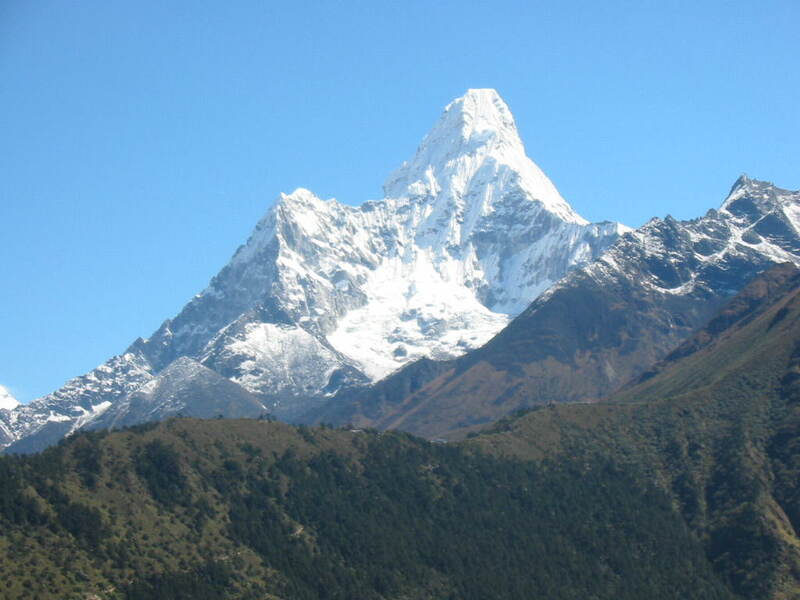 Day 7 Pangboche – Ama Dablam Base Camp: We will take a small detour on our trek, to take in Ama Dablam base camp affording excellent views of the mountain itself. Day 8 Pangboche – Dingboche: We continue on our journey towards Everest base camp, taking lunch before exploring Nakartse and heading back to Dingboche. Day 9 Dingboche – Lobuche: Once again trekking along the valley gradually working our way higher up into the mountains. You’re almost there! Day 10 Lobuche – Gorakhshep: Today we make our push for Everest base camp, passing through Gorakhshep, which will be our home for the night. Most importantly we head up to our target, visiting Everest base camp and taking in the views of Everest and the Khumbu icefall before returning to sleep at Gorakhshep. Day 11 Gorakhshep – Pheriche: We then have an early start as we make our way to the summit of Kalapatther for excellent views of Everest. We will then make our way back down to Gorakhshep before heading towards Pheriche for the night. Days 12 – 15 Pheriche – Portse – Khumjung – Phakding – Lukla: We continue back towards lower altitudes taking in even more excellent views of the surrounding mountains and valleys. Day 16 Lukla: This is our spare day in case the weather is against us and flights are delayed. Day 17 Lukla – Kathmandu: Today we will travel back to Kathmandu to enjoy a well-earned rest in the city. Day 18 Kathmandu: This will be your last chance to explore this ancient city so take the day to enjoy the sights and the sounds, and pick up any last minute souvenirs to remind you of your trip. Day 19 Kathmandu: Finally it’s time to say farewell to new friends and begin your journey home. Mules will be used on the trek to carry your luggage. A duffle bag (preferably waterproof) is ideal, but please ensure it has a shoulder strap. For the welfare of the mules we ask that you keep the weight in your duffle bag to a maximum of 15kg. 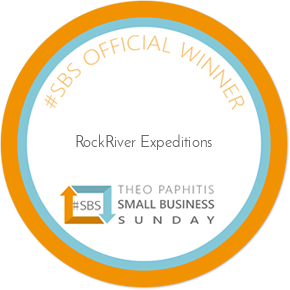 You will need a day rucksack to carry spare layers, waterproofs, food and drink, and personal items such as cameras etc. So a 35l rucksack is a good size. Snacks – trek bars etc. Personal medical kit – we recommend this includes (but is not limited to); ibuprofen, paracetamol, antihistamines, diarrhoea treatment, rehydration sachets, latex gloves, antiseptic wipes, plasters, throat lozenges. 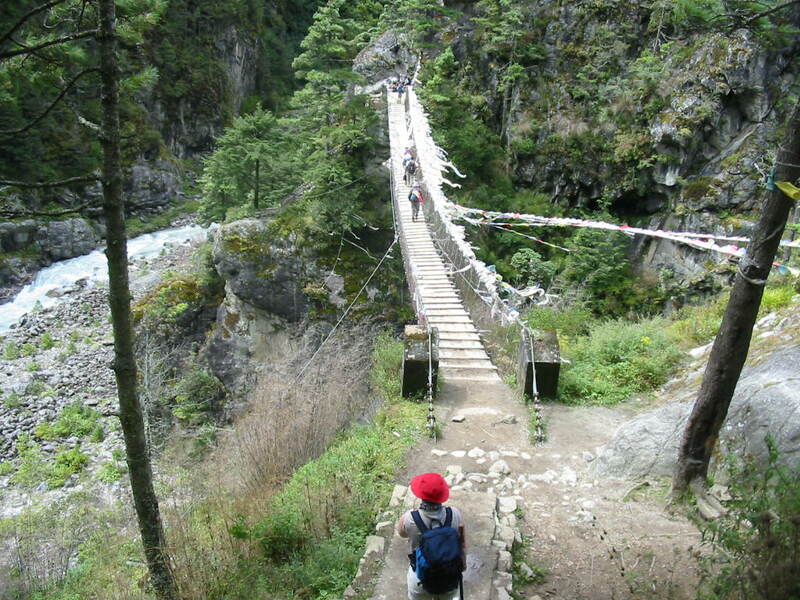 This is a physically challenging trek therefore it is important that you arrive with a good level of fitness. We can provide you with a training plan if required. You will be walking for between 5 and 7 hours a day. Consequently your training should include some multi day hill walking to ensure that you have the right level of fitness and stamina to complete this trek. 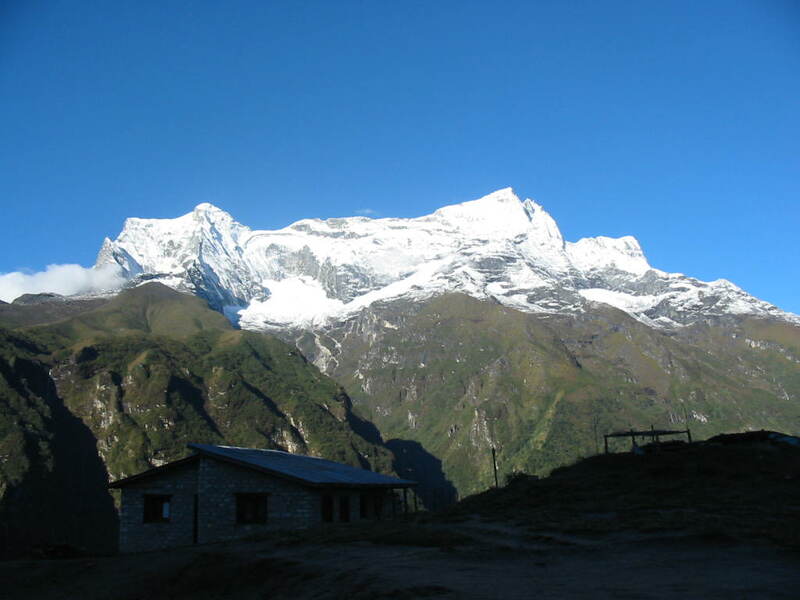 This trek takes you to a height above 2500m at which point there is a risk of being affected by Acute Mountain Sickness more commonly known as Altitude sickness. Symptoms of being at altitude can include the following; headaches, tiredness, shortness of breath, loss of appetite and nausea. Altitude sickness affects everybody differently and whilst generally the fitter you are the better you will cope, being super-fit is still no guarantee of feeling fewer effects. 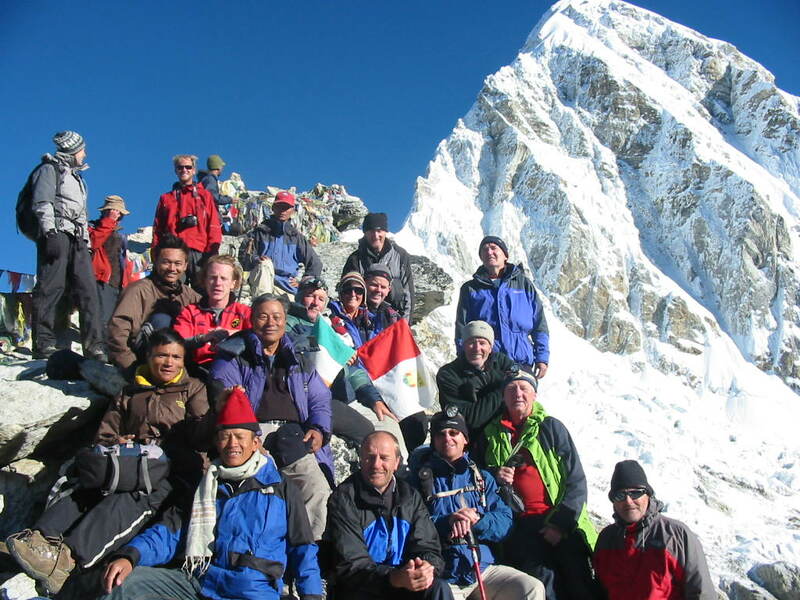 All of our leaders have experience of trekking at altitude and are medically trained. The leader will assess your progress as you trek and they will make a decision to send you down to a lower altitude if they believe your health and safety are being compromised by the effects of altitude.